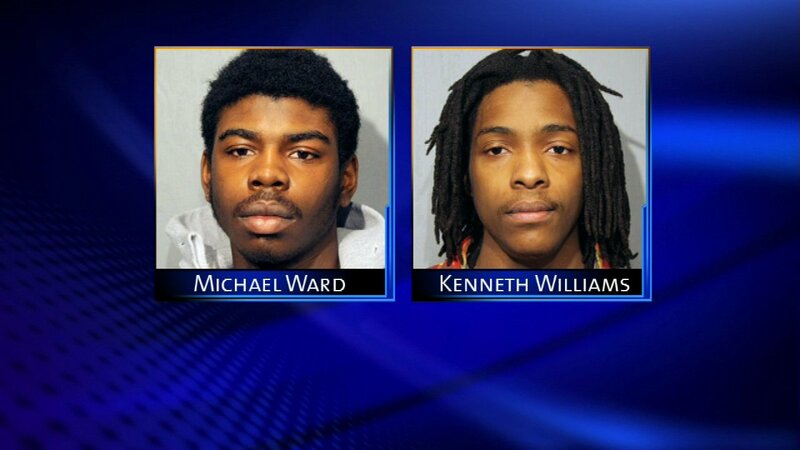 Michael Ward and Kenneth Williams, two men charged in the 2013 killing of 15-year-old Hadiya Pendleton. CHICAGO (WLS) -- Two men charged in the killing of 15-year-old Hadiya Pendleton nearly five years ago finally have their trial date set. (FILE) Honor student Hadiya Pendletonm 15, was shot to death in January 2013. Micheal Ward and Kenneth Williams will stand trial for murder on April 30. Pendleton was shot and killed on Jan. 29, 2013, just days after her high school band performed at former President Barack Obama's inaugural festivities. The honor student's death remains one of the most high-profile killings in Chicago. It became a symbol of the gun violence in Obama's hometown. First Lady Michelle Obama attended her funeral. Pendleton was with friends at a park about a mile from the former president's home in Chicago's Kenwood neighborhood when she was shot. Prosecutors said she was caught in the crossfire of a South Side gang feud. Assistant Public Defender Julie Koehler said the defense is "ready to go."